Overcoming adversity is nothing new to Steven Matly. A high school dropout turned entrepreneur, he has twice created six-figure revenue generating companies with less than $5,000 startup capital. Raised by a single mother in the South Seattle housing projects, Steven entered the workforce at age fifteen and quickly recognized the limited resources, mentors, and role models available to families like his in the area. In the years that followed Steven worked for both small companies and large corporations in a number of different roles. In 2014, Steven launched SM Diversity, a boutique hiring agency committed to helping businesses create a more diverse and inclusive workforce. By connecting them with community based organizations, subject matter experts, and experienced recruiters, his clients are able to leverage a broader network of diverse talent, ultimately resulting in an expanded marketplace. Steven has become one of the up and coming thought leaders in the area of diversity and inclusion employment practices. 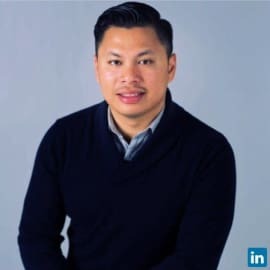 He has conducted ground breaking workshops such as their HACK Diversity & Inclusion Program to serving on panels alongside organizations such as Boeing, Microsoft, Facebook, Google, Bank Of America, Amazon, Zillow, Expedia, Wells Fargo, Slalom, Progressive, Seattle Police Department, Starbucks, Comcast, IBM, and other Fortune companies. In his quest for continued education, Steven successfully completed his Cornell University’s online Strategic Human Resource Leadership program focusing on diversity & inclusion in the workplace. Steven is also currently enrolled into the Business Certificate Program at University of Washington Foster School of Business starting June 2017.